the cars that drives us. I drew this car on the first page of my story for the cyan issue of the CMYK Vertigo Quarterly anthology. Two weeks ago, I saw a car just like this parked on a street near my house. The car I drew is calling me back. Dark Horse Comics will publish the milestone 200th issue of its Eisner and Harvey Award-winning comic book anthology DARK HORSE PRESENTS in February 2015, and Bá did this awesome HELLBOY cover. 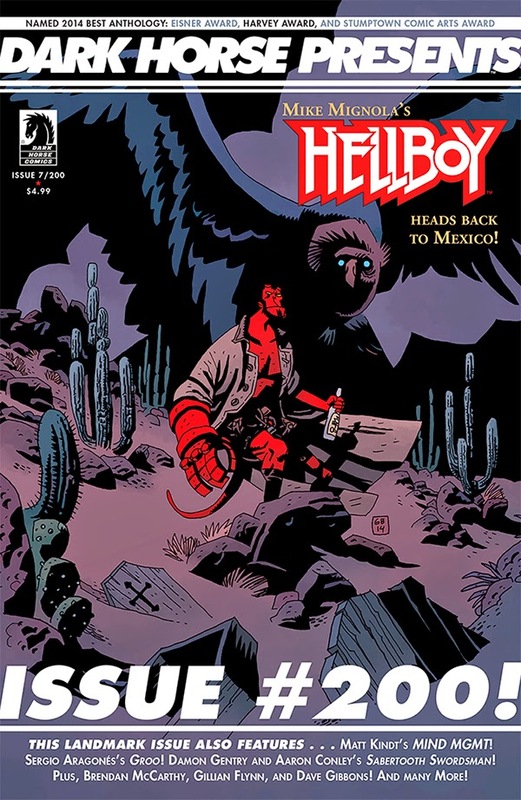 His story inside, also featuring HELLBOY, was written by Mike Mignola himself, and it's a direct sequel to THE COFFIN MAN (the story I drew and Mignola wrote). Also on this issue, Gustavo Duarte tells a story about mermaids, and Sergio Aragonés draws GROO. What else could you ask for?